Towards the end of the seventeenth century AD, both the combined states of Ndongo and Matamba, and also Kongo, fell victim to European predator activities where "executions, treachery, robbery, and violence became the order of the day." Even under these trying circumstances, a great woman emerged. Kimpa Vita also called Dona Beatriz continued the resistance against the Portuguese slave traders. 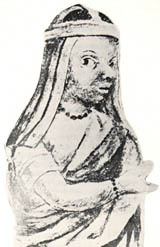 Prophetess Kimpa Vita (Dona Beatriz) (circa 1684–1706) Saint of Kongo was burn at stake for heresy and the Pontiff refused the request for her rehabilitation in 1966. One of the first African women to fight against European dominance in Africa during the colonial period & expose the racism and misogyny in the Catholic church. The founder of the first black Christian movement/Black Liberation Theology in Sub-Saharan Africa. While still in her teens, she started a non-violent anti Colonial movement to liberate the Kingdom of Kongo and return it to its former glory. Led thousands of her people to rebuild and repopulate Mbanza Kongo, the capital of the once glorious unified Kingdom of Kongo. She was burned at the stake as a witch for heresy at Evululu. 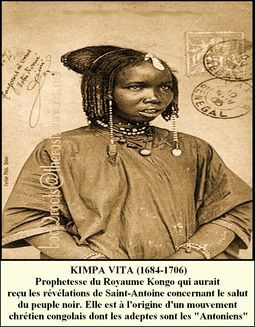 Kimpa Vita was born of aristocratic family near Mount Kibangu in the Kingdom of Kongo soon after the death of King António I(1661–65), It is believed that she was connected to King António I who died at the battle of Mbwila (Ulanga) a battle orientated around the removal of the Portuguese from his region. Following António I death, was a time of internal strife, political unrest and civil war. 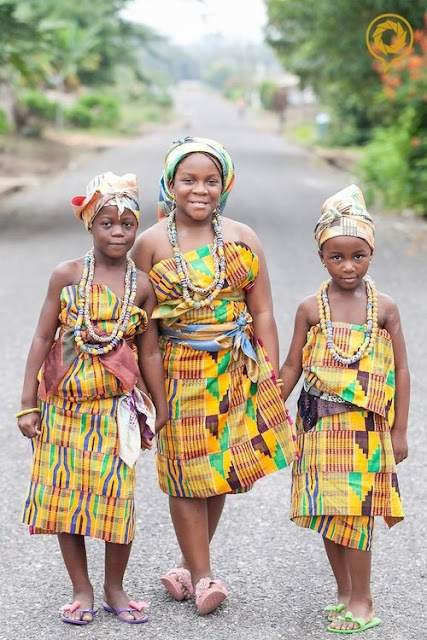 As was the centuries old tradition with Kongolese nobles, she was baptised into the Roman Catholic church at birth and took Donna Beatriz as her baptismal name. As a child Kimpa Vita had ‘gifts’, she constantly saw visions and dreamt of playing with angels. Due to her innate spirituality, Kimpa Vita was trained as a (Shaman) Nganga marinda, a individual who consults the supernatural world to solve problems within the community. As could be expected, the European missionaries did not like the existence of the Nganga marinda nor did they like the fact that the Kongolese widely accepted them as legitimate (despite two centuries of Catholicism). The kingdom of Kongo (now a part of modern Angola and Congo), the wealthiest and most powerful state in the Atlantic region of Central Africa during the fifteenth and sixteenth centuries, began to dissolve in the seventeenth century under internal and external pressures. 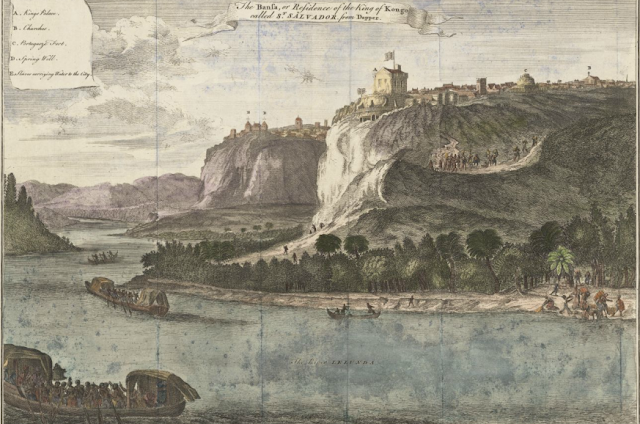 Portuguese military aggression emanating from the Angola colony to the south spurred the kingdom’s disintegration, notably at the battle of Mbwila in 1665 at which Portuguese troops killed the Kongo ruler Antonio I. 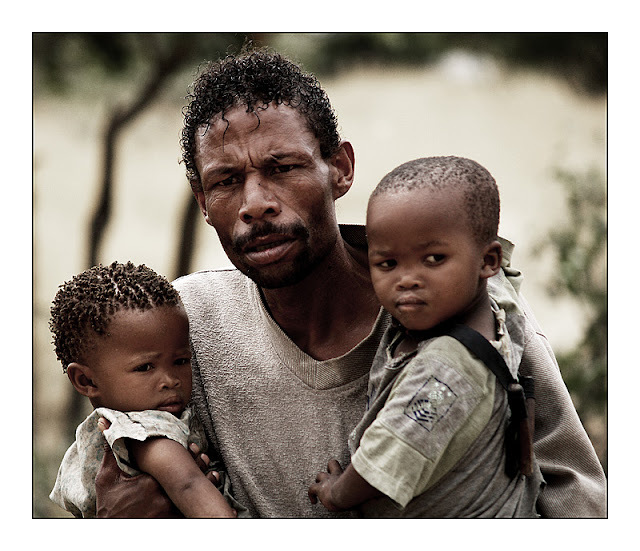 The kingdom was plagued by devastating civil wars which fed the ravenous Atlantic slave trade. By the turn of the eighteenth century there was an immense political and cultural vacuum, the Kongo capital Mbanza Kongo (also known as São Salvador) had been abandoned and the kingdom had broken up into small territories ruled by warlords and members of the old Kongo nobility. Memories of Kongo’s past glory remained, however, and a series of popular movements developed out of the Kongo people’s desire to restore the kingdom to its former greatness. 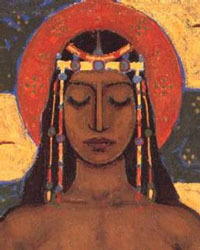 With her training as a shaman and her identification as a Christian, Kimpa Vita began to be recognized as a prophetess. In 1704 at the age of 20 she had a near death experience when she appeared to die of a fever. When she had been resuscitated she believed that she now spoke with the voice of the patron saint of Kongo, and also incidentally the patron saint of Portugal, St. Anthony of Padua she believed Saint Anthony became incarnate in her body and so she became the physical manifestation of the saint, who addressed the kingdom’s problems through her. Compelled by the Christian God to announce his word to restore the kingdom through adherence to a vision of Catholicism that was set firmly within Kongo history and geography. She also wanted to restore the former Kongo capital San Salvador. She concerned herself with the restoration, spiritually and politically, of the Kongo Kingdom. Kimpa Vita’s religious ideology came as an answer to the prayers of many Kongolese people. In her message She combined traditional Kongolese beliefs with Catholicism. Creating her own her own Christian movement, known as Antonianism. She wanted a religious system that was set firmly within Kongo history and geography. 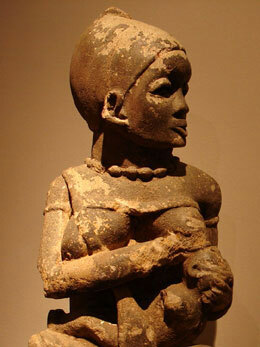 From her visions she believed Kongo must reunite under a new king & Antonianism was a way of doing this. Much to the dismay of the Catholic Church, Kimpa Vita quickly attracted a large following of common people, as well as some nobility who flocked to the city, which Kimpa identified as the biblical Bethlehem. Jesus was born in Mbanza Kongo and baptized not at Nazareth but in the northern province of Nsundi. 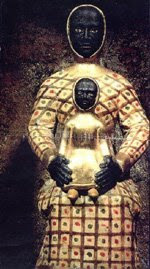 Mary was a slave of a Kongo marquis. The European church was not beneficial to Kongolese. Kimpa Vita claimed all this had been divulged to her by God. She died every Friday and went to spend the weekend in heaven where she met God personally and discussed such topics as Kongo politics. Indeed, Kimpa Vita’s ideology may seem radical but not if you look at the history of Catholicism and Christianity in the Kingdom of Kongo and examine how the people learnt to adapt a foreign religion with their local traditions. They felt that the Christian missionaries were corrupt and unsympathetic to the spiritual needs of Kongolese Catholics. 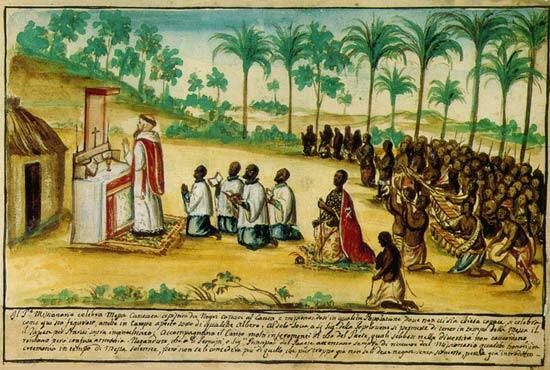 The Kingdom of Kongo had been Catholic for two centuries by the time Kimpa Vita was born. In 1491 Nzinga a Nukwu, the king of Kongo at that time, was the first royal to be baptised. However, Nzinga a Nukwu ended up changing his mind and leaving his newly adopted religion after some years, it was his son Afonso I who surely established the church in Kongo and attempted to make the country a Catholic one. Afonso I went further by creating schools that taught European education and Christianity to the nobility. He also had members of the noble class sent to Portugal to further their education and worked with both educated Kongolese and Portuguese priests in his government. This tradition continued with Afonso’s son, Henrique becoming the first bishop from sub-saharan Africa in 1518. Christianity grew further in the 16th century particularly under the reigns of Kings Alvaro I and Alvaro II who gave nobles titles such as Count, Duke and Marquis in the European manner. They also brought in relics such as bones of martyrs from Europe and established an embassy in Rome. The Kongolese had formed their own brand of Christianity even before Kimpa Vita arrived. At a point in the kingdom’s history, the royalty wanted to create their own bishops and clergy which didn’t go well with the Pope and the Portuguese clergy. All attempts by foreign missionaries to purge local elements from the Kongolese Catholicism were met with resistance and ultimately failed (the same thing happened when the Dutch Calvinists tried to preach their faith). The issue may have been that though the Kongolese believed they were worshiping an African God, they were not vocal about it. Missionaries taught the opposite of what Kimpa Vita (and most of the Kongolese population) believed, arguing that heaven was for whites only and that Jesus and all saints were white. Kimpa Vita vocally opposed such ideas and turned them upside down. She fought against the ‘Europeanization’ of Christianity and Kongo. . 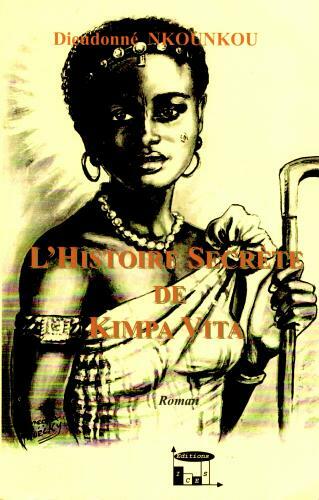 However Kimpa Vita was not only trying to spread a purely African version of Christianity, at the same time she was also trying to bring an end to the civil wars that were weakening the Kingdom of Kongo. Kimpa Vita fought against slavery which was a thriving industry thanks to those numerous wars. Her involvement in politics that eventually led to her fall, when Pedro Constantinho da Silva, a general to the King Pedro IV & a rival to the throne, saw an ally with Kimpa Vita as a means to the throne. 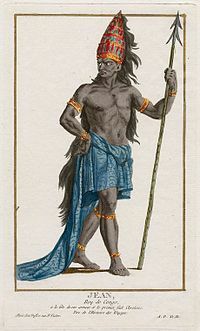 Kimpa was now seen as a enemy to King Pedro IV, because of her influence, her allies and her opposition against the Portuguese, Kimpa Vita was captured near her hometown, was tried under Kongo law as a witch and a heretic and burned at the stake for heresy in the temporary capital of Evululu on July 2, 1706 by forces loyal to Pedro IV under the watchful eyes of the European (Capuchin) missionaries. In 1710, the perpetrators sent a report of their “mission” to the pope, after having organized the persecution of her followers. The Anthonian prophetic movement outlasted her death. Her followers continued to believe that she was still alive, and it was only when Pedro IV’s forces took São Salvador in 1709 that the political force of her movement was broken, and most of her former noble adherents renounced their beliefs and rejoined the church. Kongo’s history is even more fascinating because while the people were staunch Catholics, they disliked the invading Portuguese who had brought the religion to them. The importance of Kimpa Vita is that she was one of the earliest recorded African women who fought against European Imperialism in the colonial era. Her knowledge and understanding of Kongolese Spirituality, history, culture and Christianity allowed her to see her how European religion was being used manipulate Kongo. She used this knowledge to try to reconcile Christianity with African belief systems to unite & restore the Kingdom of Kongo. The Antonian movement, which Kimpa began, outlasted her. The Kongo king Pedro IV used it to unify and renew his kingdom. Her ideas remained among the peasants, appearing in various messianic cults until, two centuries later, it took new form in the preaching of Simon KIMBANGU. It is thought that In 1739, some of her followers, sold as slaves in America, carried out the revolt well known as the “Stono rebellion” in South Carolina, and her teachings also may have inspired the action of former Kongo slaves, during the revolt which led to the independence of Haiti in 1804. To those who know of her today Kimpa Vita is regarded as a prophetess and a symbol of non-violent resistance in Africa, inspiring many political and religious leaders in Congo and Angola. The French people rehabilitated Jeanne d’ Arc (Joan of Arc) five centuries after her death. She then became “Sainte Jeanne d’ Arc”(Saint-Joan of Arc), in spite of the controversy around her life. Dona Beatrice Kimpa Vita was a victim of the religious intolerance and racism raging in her country and continent. Despite her accomplishments, Pope Paul VI rejected a request for her rehabilitation in 1966. Another raging debate concerning Kimpa Vita is her real Kongolese name. Some claim that her name "Kimpa" was rather "Chimpa" which is an "Nsimba" in Kongolese native tongue and was corrupted to "Kimpa." 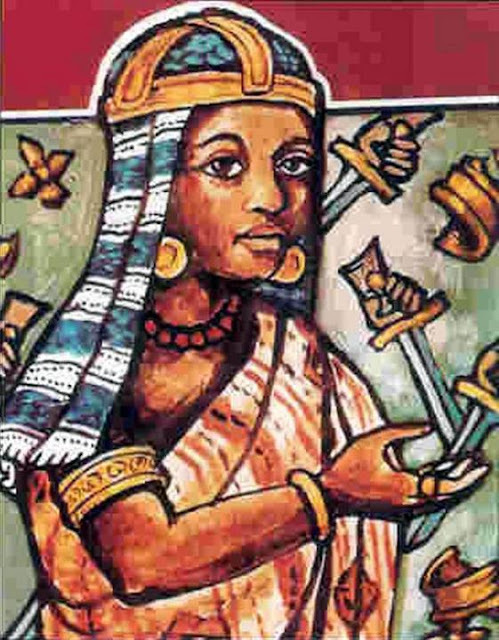 Dona Beatrice was the first Kongo young woman who fights against the colonialist at XVII-XVIII centuries. Therefore, there is serious discussion concerning her correct name between KIMPA VITA and NSIMBA VITA. Here is my contribution in the matter. Well then, his usual orthography cialoango (nsi’a Lwângu=Lwângu country), n’cindi (Nsîndi= district), cialo (nsyÂlu= spoon), Aciquennque (Asi Nkênge= Nkênge’s people), etc. respectively Ci Italian means NSI Kôngo. Distinguishing Nsi and KI, Da Gallo use QUI: QUIquenque (Kinkenge), QUImolaza (Kimulaza= province), QUIoua (Kyôwa), QUIcanga (Kinkânga), etc. In this case CHIMPA VITA may be the misrepresentation of NSIMBA VITA. Da Gallo, in his own report, explain this name: “she was twin… and traditional and exotic priest in some rites like that Quipachi, ancestors rites (…) specialy in twin’s rites where adepts called her Ngâng’a Marimba”. (p.43). Well, in undertanding of our Italian priest, CHIMPA VITA means NSIMBA VITA. Without doubt! In other hand, he might wrote QUIMPA VITA. Or more, Da Gallo shall specify she was ngâng’a QUIpaci or ngâng’a BaQUImba (secret society of Bakhimba, cfr. L. Bitremieux: La société secrete des Bakhimba au Mayômbe). Therefore, he wrote ngâng’a Marimba, the twin’s rite in the old Kôngo. Actually we can find familly’s branch with name of old Kôngo’s Kings and others authorities, like that Don Zuan Nzîng’a Nkûwu, Ndo Mfunsu mvêmb’a Nzînga, Do Manuel Ne Vûnda, NA Kôngo Don Diogo, NA Kôngo Do Bele-Damu, etc. (Cfr. J. Cuvelier: Nkutâm’a mvila za makanda mu nsi’a Kôngo). In this book, page 70 of 4th edition of 1974, we read. “NSIMBA A VITA. Nsaku’e lawu. Ntâma Nsâku’e lau kaka. Banuene vita, i bosi Nsimba Vita Nsâku’e lawu”. Free translation: We are NSIMBA VITA, Nsaku’e lawu in others words. At the past time, we were Nsâku’e lawu only. The Ancestors fight. Theafter we became NSIMABA VITA Nsâku’ e Lawu. Is NSIMPA different to NSIMBA? Although can appears like that morphologically, we can observe that: at the past, precisely when Da Gallo is writing these events, in the other side, the Spanish priests are trying too to gather kikôngo vocabulary in differents regions. So they are victime of interference of both phonemes (MPA and MBA). For exemple: they wrote Matâmba=Matâmpa, Mbângala=Mpângala, Mbângu=Mpângu without any distinction. I read lot of about debates concerning the correct name between KIMPA and NSIMBA VITA. In my humble knowledge, these two aspects that I showed up never was augmented by authores. The historic truth, always relative, may be NSIMABA. Why? 1)we tryied to interpret the understanding of Da Gallo who presents this revolutionary young woman for the first time in the world, and NSIMBA VITA shall be the correct translation; 2) among the scraps of History diverted from Dona Beatrice and Antonians sects, actually we can quote NSIMBA VITA as family’s branch. Conclusion: I am not minimizing the thesis of religious anthropology: KIMPA VITA, the mystery of the war. But, all of that I underline up, constitute a simple historic critic. It means, I am demanding historians, anthropologists,… learn and study more about it. Maybe we are wrong. Maybe right. But, we like strong proof, not only probabilities. Thornton, John Kelly. 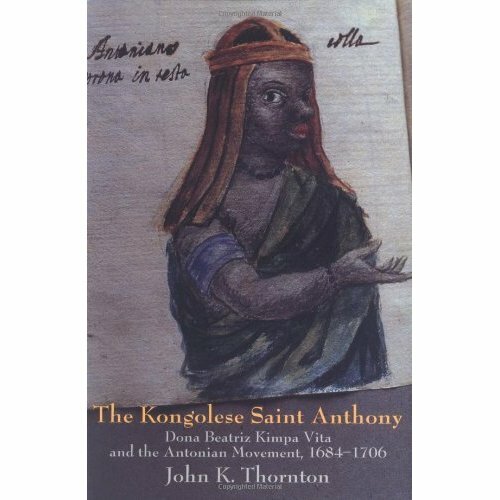 The Kongolese Saint Anthony: Dona Beatriz Kimpa Vita and the Antonian Movement, 1684–1706. Cambridge: Cambridge University Press, 1998.
love, love this story. brilliant, strong, powerful woman. i do not understand why the pope did not make this woman a saint in 1966 when it was brought to his attention ? it must be put on the table again with this new pope. i would love to see a movie about this woman's life. thank you blogger for the story.